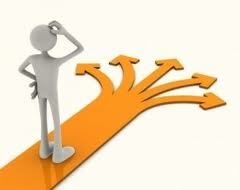 9 Tips To Make Effective Decisions - Something New Everyday! 6. Consider all options: Don't stop your brain on one idea or approach. Think about more options. Seek advice from others on different possible solutions of the given situation/problem. to the problems which need decisions. 7. Ask for criticism: If possible ask for criticism before implementing the decision. Although it's never too late to ask for criticism even after your decision. Feedback always helps in your future.